Whole Room Disinfectant Fogger Machines: Quickly Sanitize Clean Rooms, Industrial Facilities, Vehicles & More with Bacteria, Virus & Mold-Killing Non-Aerosol Chemical-Free Vapor Mist Systems at Discount Prices! Effectively Kill Bacteria, Mold & Viruses in Homes, Hospital Clean Rooms, Schools, Gyms, Ambulances, Buses & Other Vehicles & Prevent Infections with Quality Fogging Disinfection Systems. We Offer The Best Dry Vapor Mist Disinfection Machines and Industrial-Strength Non-Aerosol Antibacterial & Antiviral Solutions that Sanitize Virtually Every Available Surface in Minutes with No Chemical Residue or Odor, All at Discount Prices with Free Shipping. 100% Green, Eco-Friendly & Safe to Use Around Electronics! Thorough disinfection in medical facilities has always been hugely important. But now with the recent upsurge of many types of resistant bacteria and new viruses showing up in gyms, public transportation, in ambulances and even on industrial food processing machines, being able to effectively kill and control germs make sure that is becoming increasingly important. With manual cleaning and sanitizing attempts, however, it is difficult to ensure high-level disinfection due to a number of challenges. These challenges include clean-up crews missing areas, re-contamination from dirty sponges and mops, and improper use and mixing of antibacterial cleaning solutions. Many bacteria and viruses are mutating to become resistant to not just antibiotics but also certain types of sanitizers, making disinfection even more challenging. And, though some aerosol or concentrated industrial disinfection chemicals do work (such as quaternary ammonia) but create chemical vapors and residues that are very harmful to humans. With regard to mold remediation, a similar problem exists making it hard to pass final inspections simply because final manual cleaning leaves live mold spores, which then quickly multiply. So, with all the human error issues, 'smarter' germs and hazardous cleaning agents, proper safe disinfection of facilities, rooms, machines and equipment has become quite hazardous, and often with only a moderate level of effectiveness that leaves everyone at risk. Fortunately, there is a new type of green, eco-friendly fogging disinfection system that uses a ‘dry’ mist to sanitize whole rooms, vehicles, and the surfaces of equipment in a matter of minutes, with no residue or odors. That new, much more effective non-aerosol natural disinfection method is called vaporized hydrogen peroxide with antibacterial silver ion, delivered through a quality industrial-grade fogging disinfection machine. Non-aerosol vaporized hydrogen peroxide is a very effective disinfectant by itself. But paired with a small amount of silver ions and delivered in a super fine mist by a quality disinfectant fogger machine provides a 99.9999% kill rate for a variety of organisms while still being green, eco-friendly and chemical residue-free. The fogger produces a super fine 'dry' mist that reaches virtually all surfaces, cracks and crevices without re-contaminating sponges and mops, etc. This provides a far more complete sanitization of any room, industrial machine, ambulance, bus, trolley or other public transportation vehicle, in far less time than manual cleaning. And since the vaporized antibacterial mist evaporates extremely fast, it's 100% safe for use around electronics. In fact, vapor mist sanitizer systems are used around major aircraft electronics and sensitive medical diagnostic machines on a daily basis with zero issues. A good fogging disinfection machine can also sanitize about 10,500 cubic feet per hour, reaching areas that almost never get disinfected, such as walls, ceilings, vents, under and behind chairs, tables, places where harmful bacteria like MRSA, C. diff, Staph and many viruses will hide and remain an active threat for days. With a fogging disinfection system and natural VHP antibacterial solution, you can not only sanitize large areas quickly, but you can also eliminate final wipe downs with aerosol chemical cleaners, save on labor hours, and do a much better job of preventing liability from infections. Also, in comparison to expensive UV light room disinfection ‘robots’, fogging vapor mist sanitizing systems offer much better surface coverage at a dramatically lower cost. When buying a fogging disinfection system, however, there are several important details to look for to ensure you're getting the best fogging disinfection system with the best performance. First, you want a fogger unit that is easily portable. Second, you also want the fogger to have an industrial-strength metal nozzle, not plastic which wears out over time and cause inconsistent mist droplet size. Inconsistent mist droplet size means that the fog won’t provide the proper coverage and quick evaporation rate necessary for high-level disinfection. Third, the antibacterial solution used in the fogging room sanitizer should also be virucidal and classified as sporocidal disinfectant, so that it is proven to kill spore type organisms such as C diff, E.coli, etc. There are other fogging disinfection machines on the market that use vital oxygen or chlorine-based sanitizing chemicals; though these chemicals are usually antibacterial, many are not proven effective against C. diff, Norovirus, TB etc. In fact, there are many germs that are now resistant to vaporized vital oxygen disinfectants, and vital oxygen has been shown to be corrosive to some materials. Your best bet is to use industrial-strength VHP with silver ion since it is the latest, most effective and eco-friendly non-aerosol disinfectant solution available and proven to kill a variety of organisms. And since the vaporized hydrogen peroxide mist with silver ion is a sporocidal disinfectant, using a disinfectant fogger is also very helpful for mold remediation as it destroys those last few mold spores and bacteria colonies after the main cleaning and remediation has been done, making it much easier to pass final inspections, saving many unnecessary labor hours, other machine rentals, etc. Also, regarding mold remediation, keep in mind that bleach is a good chemical sanitizer for many bacteria, but does not kill mold as many people think—it actually irritates the mold and gives it water, causing the mold to grow faster! 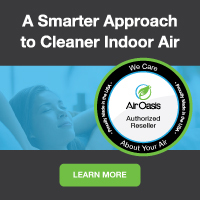 So whether it’s a classroom, an industrial building with a row of machines, a fire truck, ambulance, veterinary facility, hospital clean room or just a large public area that you want to sanitize---if you want a highly-effective, chemical-free, time and money-saving way to protect yourself and customers from infectious disease and reduce liability, consider replacing your aerosol sanitizer sprays and final manual wipe downs with a portable fogging whole room disinfection system. We take pride in offering the best quality fogging vapor mist sanitizing machines and eco-friendly peroxide and silver ion disinfectant solutions at the cheapest discount online sales prices with free shipping due to our extremely low overhead. We also have medical, industrial and other case studies, EPA registration numbers, chemical MSDS sheets and references available if needed. Call us today toll-free at 1-800-701-2513 and get the answers to your fogging disinfection system questions. We're here to help!